Looking for a Used MDX in your area? CarGurus has 17,490 nationwide MDX listings starting at $2,250. Acura’s spotlight may be on the all-new NSX supercar, but the 2017 MDX crossover is still one of the brand’s most important models. 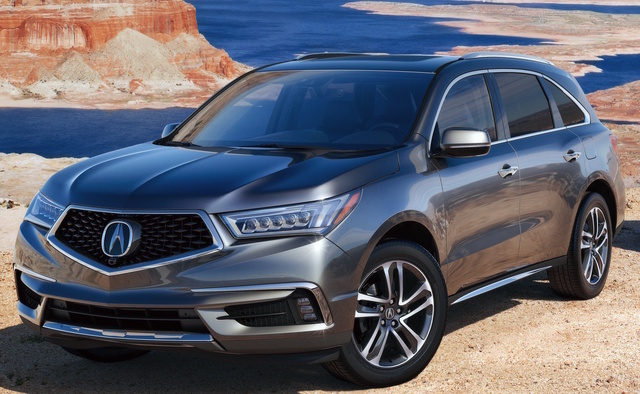 The MDX, along with the smaller RDX crossover, makes up a significant chunk of Acura sales in the U.S. The 3-row MDX crossover has been praised for offering luxury, sportiness, and technology features at a price that undercuts many of its competitors. The 2017 version sees it undergo a thorough refresh with a number of changes to the exterior, powertrain, and safety features. For 2017, Acura ditches the shield grille that has been a fixture of the MDX since the late 2000s in favor of a diamond-shaped grille with a large Acura emblem, first seen on the Acura Precision concept at the 2016 Detroit Auto Show. A pair of unique “Jewel-Eye” LED headlights, LED taillights, and dual exhaust outlets come standard. Depending on which option package you select, the wheels will range in size from 18 to 20 inches. The MDX’s interior will not see any changes for 2017, and that isn’t a bad thing. It is well constructed and features wood trim and soft-touch materials. The second row seats 3 people and provides plenty of head- and legroom, with the ability to slide forward and back or recline. The second row slides forward for third-row access, although this back row is best reserved for small kids due to the lack of legroom. With all 3 rows up, the MDX offers 15 cubic feet of space; folding the third row increases cargo space to 38.4 cubic feet, and folding the second row as well gives a total of 68.4. All MDXs feature a dual-screen AcuraLink infotainment system with an 8-inch screen on top and a 7-inch touchscreen underneath. However, reviewers have criticized the screen setup as difficult to use—for one, the lower screen controls most of the functions, but devices plugged into the USB port can be operated only via the control knob and the 8-inch touchscreen. Additionally, the climate-control functions are split between physical buttons and the touchscreen, which means it takes a few more steps to increase fan speed or turn on the heated seats. For the time being, the MDX is available only with a 3.5-liter V6 engine good for 290 hp and 267 lb-ft of torque. A 9-speed automatic transmission routes power via either front-wheel drive (FWD) or Acura’s available Super Handling all-wheel-drive (SH-AWD) system. A stop-start system is also available with the optional Advance package. The MDX can reach 60 mph in under 7 seconds and receives fuel-economy figures of 18 mpg city, 26 highway, and 22 combined with SH-AWD and the stop-start system and 20, 28, and 23 with FWD and stop-start. Down the road, Acura will introduce a Sport Hybrid trim outfitted with a 3.0-liter V6 paired with 3 electric motors—2 for the rear wheels and 1 mounted in the transmission for the front wheels—for a total output of 325 hp. For 2017, Acura has made the AcuraWatch suite of safety features standard on the MDX. AcuraWatch is comprised of adaptive cruise control, a collision-mitigation system, forward-collision warning, lane-departure warning, and road-departure mitigation. Other standard safety equipment includes a full set of airbags, traction and stability control, and a reversing camera. The 2017 MDX earned a 5-star overall rating from the National Highway Traffic Safety Administration (NHTSA) and a Top Safety Pick+ award from the Insurance Institute for Highway Safety (IIHS). The 2017 Acura MDX will set you back $43,950 for the FWD variant and $45,950 for the version with SH-AWD. Unlike most manufacturers that provide a range of trims, Acura offers just three optional packages for those wanting more luxury or tech features. First is the Technology package, with rain-sensing wipers, remote start, a 10-speaker ELS premium audio system, voice recognition, navigation, and blind-spot monitoring with rear cross-traffic alert. Next is the Advance package, which includes all the features from the Technology package plus a stop-start system, heated and ventilated front seats, second-row captain’s chairs, and a surround-view camera. An Entertainment package can be added to either the Technology or Advance package—with the Technology package, it includes a DVD entertainment system with a 9-inch flip-down screen, a pair of wireless headphones, 1 additional speaker, second-row side sunshades, and a 110-volt power outlet in the center console. With the Advance package, the Entertainment package adds most of the same features as the Technology package plus an ultra-wide 16.2-inch screen instead of the 9-inch one, 1 extra speaker, an HDMI port, and second-row bench seating. What's your take on the 2017 Acura MDX? 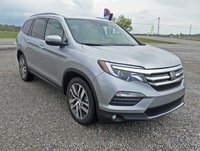 Users ranked 2017 Acura MDX against other cars which they drove/owned. Each ranking was based on 9 categories. Here is the summary of top rankings. Have you driven a 2017 Acura MDX?